The Nazis discovered it. The Allies won the war with it. It conquered diseases, changed laws, and single-handedly launched the era of antibiotics. This incredible discovery was sulfa, the first antibiotic medication. 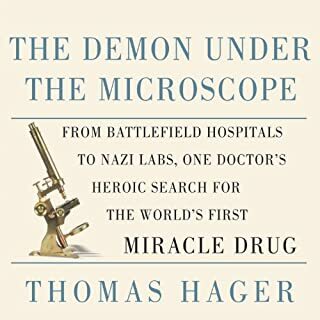 In The Demon Under the Microscope, Thomas Hager chronicles the dramatic history of the drug that shaped modern medicine. The Ghost Map takes place in the summer of 1854. A devastating cholera outbreak seizes London just as it is emerging as a modern city: more than two million people packed into a 10-mile circumference, a hub of travel and commerce, teeming with people from all over the world, continually pushing the limits of infrastructure that's outdated as soon as it's updated. 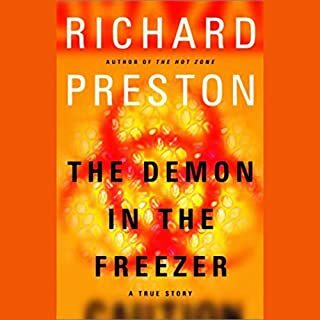 Dr. John Snow, whose ideas about contagion had been dismissed by the scientific community, is spurred to intense action when the people in his neighborhood begin dying. With enthralling suspense, Johnson chronicles Snow's day-by-day efforts as he risks his own life to prove how the epidemic is being spread. From the dynamic thinker routinely compared to Malcolm Gladwell, E.O. Wilson, and James Gleick, The Ghost Map is a riveting story with a real-life historical hero. It brilliantly illuminates the intertwined histories of the spread of viruses, the rise of cities, and the nature of scientific inquiry. 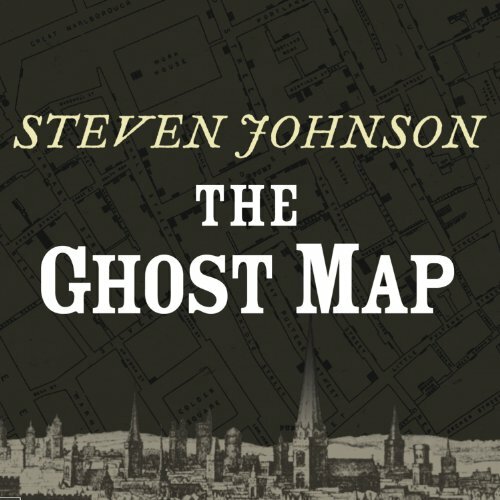 These are topics that have long obsessed Johnson, and The Ghost Map is a true triumph of the kind of multidisciplinary thinking for which he's become famous. 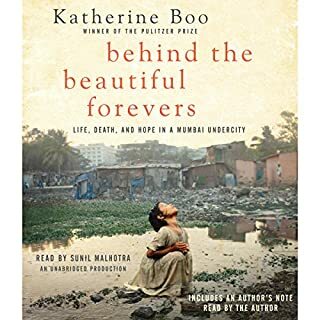 This is a book that, like the work of Jared Diamond, presents both vivid history and a powerful and provocative explanation of what it means for the world we live in. 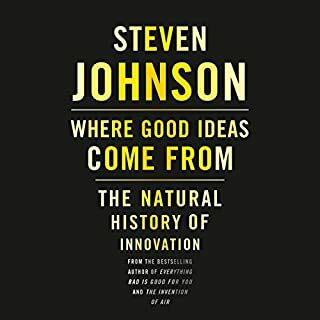 ©2006 Steven Johnson (P)2006 Tantor Media Inc.
For all those interested in public health, biostatistics, epidemiology, polution, city planning, civil engineering, anthropology, sociology, industrial hygiene, & victorian history this is a wondrful way to spend about 6 hours. The reader is the books equal, both are impressive. Most of the book is a fascinating mix of Victorian English social history and medical detective story. The last quarter changes gears dramatically to become a paean to urbanization and the power of mapmaking in sociological study. Pretty incongruous. Still, it's worth it-- especially if you need a shorter book. 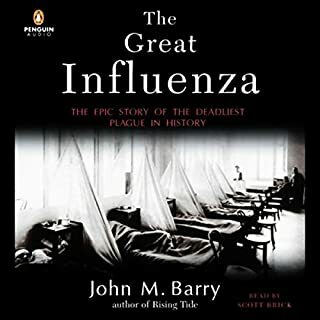 This book should have been interesting: the cholera epidemic in Victorian London, the birth of germ theory, the beginnings of epidemiology. Unfortunately the author couldn't keep his eye on the prize. The story was disjointed, and rambled and I had a hard time paying attention. Pity. This is the story of Dr. John Snow and the development of modern epidemiology and germ theory. As a history of science read, this book is very good. It has lots of drama and reads like a mystery. I did learn about Snows research into anesthesia, something I didn't know about. Most of the book centers around the cholera outbreak in London and Snow's work to counter the generally accepted miasma theory. This is a great book for young researchers to see how prevailing paradigms can be completely wrong, yet generally accepted and even unquestioned. This is an analysis exceptionally rich in perspective. Johnson brings a multidisciplinary approach to the subject that is just as fascinating as the approach of Dr. Snow that Johnson recounts. Johnson then uses similar breadth to analyze the impact on our time, and our near-to-medium term future, of the cholera outbreak and the lessons learned from it. While one may agree or disagree with his conclusions, they are solidly based and cogently argued. To label his conclusions as socialist is to confuse socialism with sociology. This book is really a hidden gem for history buffs. It did a lot to paint a portrait of the lives of the common folks of London, and by extension, other major cities of the mid-19th century. I found its insights into developments in public sanitation and its impact on modern cities very interesting. It also does a good job of showing how early scientists struggled to win support for ideas that we now view as obvious. Also, the book is great for illustrating how seemingly average people can have a big impact on their communities and the world. Finally, one thing it does is make me happy that I don't have to clean any cess-pits. Enjoy. I was already familiar with most of the story, but I loved the detail and personalities. It is not for the squeamish since it deals with sewage systems and human waste, but if you can get over that it is wonderful. It is *not* incongruous to be talking about sociology and mapmaking since this a premier example of mapmaking for sociology and medical science. 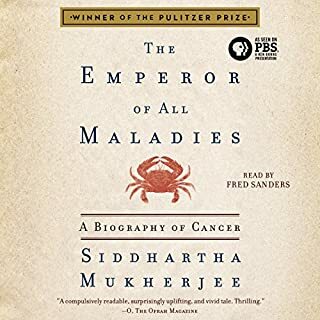 One of the best science books I have heard. When covering the events and people related to the Cholera outbreak of 1854, this book was enjoyable. Sadly, the epilogue was not as informative or enjoyable because of several inaccuracies relating to the influenza virus. Mr. Johnson failed to mention that one of the reasons that Avian influenza is so virulent is because it is a novel virus, i.e. a virus that the human population has not been previously exposed to, leading to a population that does not have immunity to the virus. Mr. Johnson also incorrectly states that the influenza virus is a DNA virus--influenza is an RNA virus.